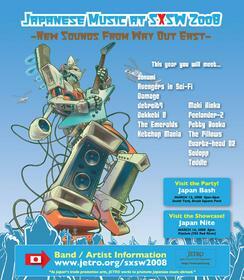 HOUSTON, TX--(Marketwire - March 5, 2008) - Japan is bringing a wildly diverse mix of its latest musical exports to America -- from Tokyo bluegrass and comic punk to death dub and several genres in between -- as the country seeks a larger audience for Japanese performers. For some, the width and breadth of Japanese music is not only refreshing it's surprising -- as is the fact that Japan is the globe's second largest music market behind the United States (the United Kingdom, home of industry juggernauts such as the Beatles and U2, is a distant third). For many Americans, though, and particularly those in the movie, music and entertainment business, modern Japanese music remains elusive. 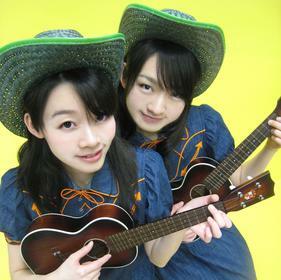 For some, it means girl-driven J-pop or pulsating soundtracks behind the anime shows broadcast on U.S. cable networks. But spend time exploring the website www.jetro.org/sxsw2008 with its links to Japanese band sites, and it becomes apparent that Japanese performers have much to offer a U.S. audience looking for new musical adventures. The website promotes the appearance of numerous Japanese bands at two special events during one of the world's most influential music festivals, South by Southwest (SXSW) in Austin, March 12-16. As Japan's trade promotion arm, JETRO-Houston (Japan External Trade Organization) works to promote Japanese music and trade oversees. This is the 11th year that Japanese bands have headlined a special stage during SXSW, and the showcases have become popular draws at the festival, which now attracts nearly 12,000 music industry professionals from around the world. The Japanese bands playing at SXSW and headlining Japan Bash, March 13, and Japan Nite, March 14, are hoping to raise decibels of awareness in the U.S. entertainment industry and open doors to opportunities with record labels, film producers and advertising agencies. Already, gaming giant Sega picked up ketchup mania, a band playing an infectious brand of female vocal-infused punk, for one of its commercials. 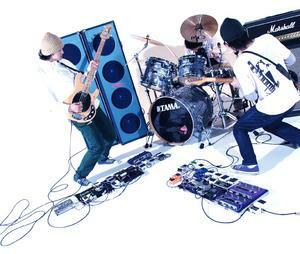 In fact, songs like ketchup mania's frenetic yet precise "Namida Vacuum Sound" -- with its catchy punk foundation and a gritty surf solo segueing into a few bars of metal -- demonstrate how Japanese bands take a derivative approach but then add a twist that is their own. The Japanese bands playing Texas are a diverse mix. There's the girl ukulele duo Petty Booka; Peelander-z and their action-packed, comic-punk stage shows with the fun cheesiness of Godzilla movies; the aural onslaught of space guitar rockers Avengers in Sci-Fi, with their effects-enhanced, layered sound; Dokkebi Q, the progenitors of death dub -- a mashup of Jamaican dub, brooding trance and irreverent punk; Quartz-head 02, improvised dance music courtesy of a jazz saxophonist trained at the Berklee College of Music; and Samurai rockers The Emeralds, who have parlayed an energetic live show and rapid-fire lyrics into an American following, as evidenced by comments left on their MySpace page. For more information, and to experience the unique persona of Japanese performers, visit www.jetro.org/sxsw2008.